My kiddos and me (left) with my dear friends and their little humans. None of us live in Mpls anymore but we will always be connected! Did you have them naturally? Do twins run in your family? Did you use fertility drugs? Are you going back to work? Did you get an epidural? Are you sending them to childcare? I can't believe you are breastfeeding!? You would think these would be questions close friends and family would ask, but no. They were usually asked by complete strangers. Not just once a day, but several times in one outing. I would answer truthfully. Then I would feel like a horrible mom (and person) if it wasn’t the “right” answer. While people probably meant well, questions like these felt insensitive after hearing them over and over! Would my answers to any of these questions change the fact that I had two beautiful little babies? Many new moms are asked similar questions of their birth experiences. When birth plan expectations do not occur as envisioned, it can be very traumatic to discuss with complete strangers. I was very fortunate to find a wonderful core support group of moms to share my worries, frustrations, wins, and challenges. I will always consider them very dear friends no matter where life takes us and our families. Compassionate and understanding support: These are some of the reasons Tiffany and I started the Mission Motherhood: Connect and Rebuild program at the DAHLC. We wanted to provide a community of support for new moms versus the critical judgment new moms can feel from strangers or other moms as they learn how to take care of their little humans. 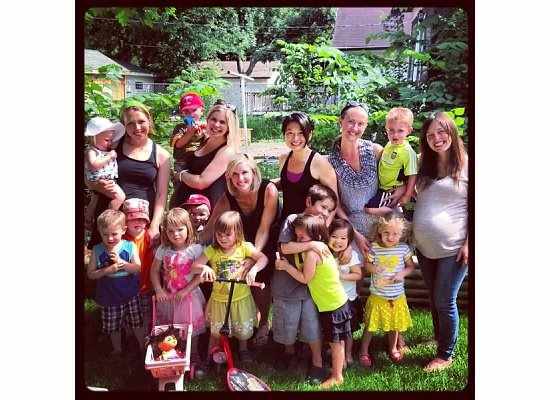 I invite you to check out our Mission Motherhood: Connect and Rebuild Program at the DAHLC to socialize with other moms in a trusting environment and also to engage in gentle exercises focusing on the core and pelvic floor. Babies are always welcome at these 6 week sessions. Come share your stories with us in an encouraging and fun small group setting!